Celebrating 10 for 10 at the 2018 Gala! Tuesday, September 25th was a beautiful night as we celebrated 10 years of Justice & Mercy International at our 7th Annual Benefit Gala in Franklin, TN. It was our biggest gala to date with 540 people in attendance and many around the world watching from their homes. 10 stories were shared for the 10 amazing years that God has worked through JMI. Hosted by Author and Bible teacher Kelly Minter, the night featured great food, live music and many special guests to include our National Directors Sarah and Alina, along with two very special team members from Moldova, Kate and Ala, who shared their life changing stories. Through God’s kindness and the generous giving of so many, we are excited to announce that we reached our goal for the evening. We are so thankful to each of you who gave and to each of you who served alongside us. We couldn’t do this without you! If you were unable to join us at the Gala and didn’t get a chance to watch the live link, you can watch it here. If you would still like to give you can do so here. 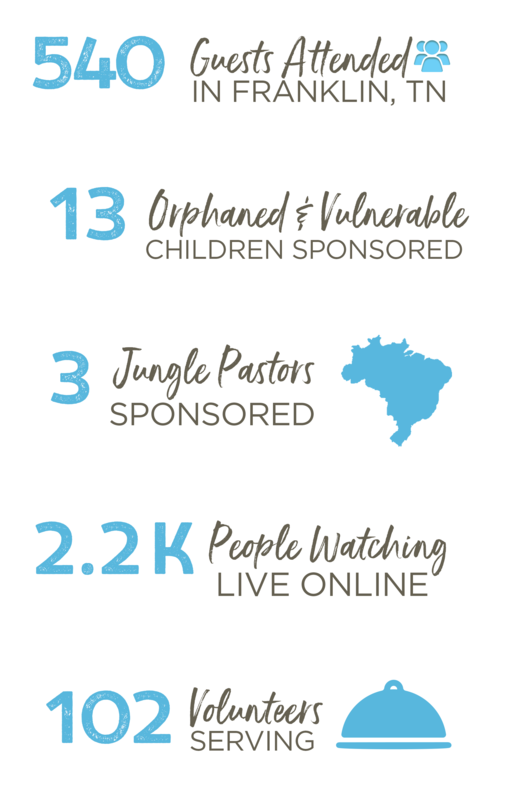 Thank you for partnering with us as we work to care for the poor, the orphaned, and the forgotten. We still have several teens that are awaiting sponsors for our Boys to Leaders Home and Independent Living programs. Would you stand in the gap for one of these resilient young men or women? Email Rachel here to get started.